Thousands of people took part in the 2017 celebration of everything nautical and nice, with highlights including the Saturday evening concert and fireworks, Water Rollerz, Zoolab, canoeing, archery, climbing wall, stone-carving sessions, boat trips, bubbleologist, roller disco, nostalgic tea dance and more. Gala Sunday included classic cars, market stalls, meet the pirates, singing and dancing displays, art activities, stilt walkers, funfair, puppet show, model plane flying, Dunbartonshire Concert Band, Kirkintilloch Male Voice Choir, Coppers on the Canal and more. 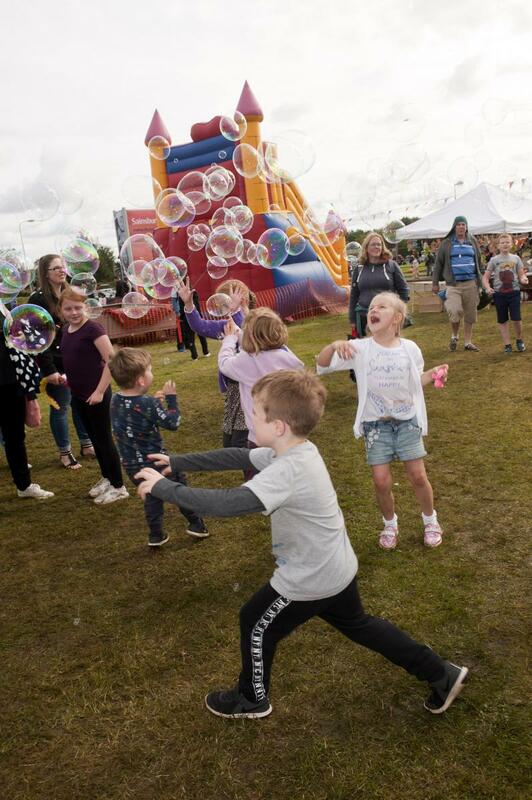 Councillor Gillian Renwick, Depute Council Leader, said, "It was a great weekend for all the family, with a huge range of fun for people of all ages. "The weather may have been mixed, but that did not dampen any of the enthusiasm. "Well done to everyone involved in organising this year's festival - which began last Monday with brilliant boat trips and culminated in Get Active Saturday and Gala Sunday. "This is one of the most popular events in the East Dunbartonshire calendar and a great example of joint-working between the Council and a range of partners - providing a boost for the local economy. "Thanks to all who came along and supported this great community event, and a special thank-you to all those working over the weekend to make it such a success. "I am already looking forward to the 2018 Kirkintilloch Canal Festival." Kirkintilloch Canal Festival is organised by the Council and partners such as East Dunbartonshire Leisure and Culture Trust, Police Scotland, Scottish Fire and Rescue, Kirkintilloch Baptist Church, the Regent Centre, New College Lanarkshire - Kirkintilloch, Seagull Trust, Scottish Canals, and the Forth and Clyde Canal Society. Venues included the town centre, Southbank Marina, New College Lanarkshire – Kirkintilloch Campus, Lairdsland Primary, Kirkintilloch Police Station, Auld Kirk Museum and Sainsbury's grassed area (with Kirkintilloch Baptist Church). The Council worked with East Dunbartonshire Tobacco Alliance to promote the canal festival as a Clean Air Event - with tobacco-free areas.